Are you having silent arguments in your head? The subconscious and conscious minds are both being heard. Emotional Freedom Techniques (EFT) is a gentle, non-invasive, needle-free and extremely effective natural healing system that often works where nothing else will! EFT yields fast results without the need for complex equipment and can be applied anywhere, anytime, in just a few minutes! But above all, EFT is completely safe and works well for adults, children and animals. And the best part? The results achieved are usually permanent! Our bodies are incredibly resilient and robust, so what causes them to stop functioning at this dynamic level? Why do some people become seriously ill when stretched to the limit, while others continue functioning comfortably and effortlessly? The question of why a person became ill in the first place is rarely considered. There may be events in her life, repressed emotions, or strong beliefs, which have contributed to her physical deterioration. Do you feel stress when you go to the dentist? Do your semi-annual visits cause severe anxiety? Anger, insecurity, and many other feelings comes from underlying fear. Many terminal illnesses, while not cured by EFT, can have the emotional issues mitigated, such as anger or regret. There is a lot of anxiety and stress both for the person, wo is ill, and their family and friends. These feelings can be worked on via EFT. Annabel also talks about dealing with the disbelief that can arise. EFT can also heal the old wounds. Painful memories from their past. Secondary Benefit Syndrome. There may be good reasons why people ahng onto their phobias, anger, negative feelings and behaviors. Even though they don't want to. Tapping the Karate Chop points. Silently. The awareness of what is going on. Neutralize polarity reversal. Secondary benefit syndrome: Subconscious has such a tight grip on the thinking of the individual that they htink it is safer to stay where they are than change. It becomes too scary to let go as the emotions they are mired in was a safer place. The emotions or place they are in becomes their identity and it is scarry to let go of that identity. Matrix Reimprinting, created by EFT Master Karl Dawson, is an energy psychology technique which combines the use of the bodymind with quantum physics and New Science, for rapid personal evolution. The traditional EFT Movie Technique is a powerful means to release what has happened to us in the past. Using the Matrix Reimprinting Technique helps to takes this a step further by allowing you to interact with yourself at the time of the event and release the emotions and change the memory to a more positive one. These memories trapped in the past and held in the field we call ECHOs (Energy Consciousness Holograms). By working with these ECHO's we not only able to resolve the memories which contributed to the core issues, we can also instill new supporting beliefs and experiences. This in turn affects and transforms your current belief system in the present moment. Matrix Reimprinting is the new, meridian tapping energy therapy that everybody is talking about. Created by EFT Master Karl Dawson, this technique has far reaching positive effects for a whole host of physical and emotional issues. It can also be used to manifest your goals and dreams. Matrix Reimprinting is a brand new Meridian Tapping Therapy that everybody is talking about. It is effective for the treatment of emotional or physical issues, it can also be used to manifest your goals and dreams. It evolved from the popular self-help technique EFT. Like it's predecessors, Matrix Reimprinting also uses the Traditional Chinese Medicine meridian system that has been used in acupuncture for thousands of years. EFT has a long and impressive history of resolving physical and emotional health issues. The way it works is that you bring to mind and verbalise, in a specific manner, an issue that you want to work with. In conventional EFT tapping is used on points of the meridian system throughout the body. Tapping on these points whilst verbally tuning into a specific traumatic memory, releases the stress of the memory from the body's energy system. With Matrix Reimprinting we take this to a whole new level and actually transform the memory. You can go back to any negative memory, say and do the things you wished you'd said and done, bring in new resources and other people to support you. And when you couple this with the tapping points used in EFT, the results are extremely fast and effective. Who is your INauthentic Self? How does it impact your life? We work to bring out our Authentic Self. BUt over the years, our authentic self has been squashed and put down. So we create another self to protect our inner self. We put on protective armour. The problem is our armour keeps us away from close intimate relationships. think and say comes from old programming in our subconscious mind. will run your life. It will sabotage your best intentions. And yet, it's not difficult to work with the subconscious. EFT is a very effective way to engage your subconscious. Do you feel Overwhelm? Want to be more in Balance? Do you feel like you have too much to do and not enough time? Be comfortable about our inconsistencies. Are you using absolutes in your life? "I'll never get over this." "I am an idiot." Your focus can make a huge difference in dealing with stressors in your life. Join us at the EFT Gathering at www.canadianeftgathering.com. Clutter cluttering up your life? 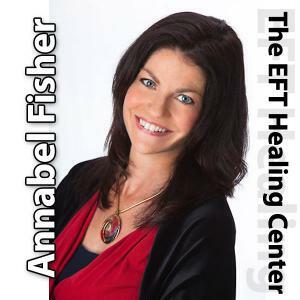 In today's episode, Annabel Fisher shares how to use EFT to de-cluttler your cluttler. Clutter is a symptom of events that leave us feeling out of control. Annabel teaches a process she shares in her third level courses on EFT: Intangible Issue Resolution. Identify the obstacles preventing you from getting what you want. In today's show, that would be a clean organized office. Dealing with the levels of belief that clutter our minds. 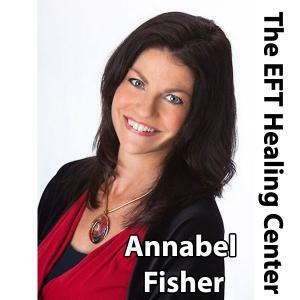 Experience a powerful EFT de-cluttering session with Annabel Fisher. Based on impressive new discoveries involving the body's subtle energies, EFT has been clinically effective in thousands of cases for Trauma & Abuse, Stress & Anxiety, Fears & Phobias, Depression, Addictive Cravings, Children's Issues and hundreds of physical symptoms including headaches, body pains and breathing difficulties. Properly applied, over 80% achieve either noticeable improvement or complete cessation of the problem. MyPodcastWorld.com Get your free podcast too!